Alipay, the mobile wallet from Alibaba-affiliated Ant Financial, has incorporated peer-to-peer (P2P) transfers and messaging, features that could transform Alipay into a broader commerce platform. Previously a mobile wallet focused on making in-app and in-store payments, the app now comes with new features divided into “Merchants” and “Friends” tabs, according to Finextra. “Friends” tab: This tab includes peer-to-peer money transfers, payment reminders, and a messaging platform that allows users to send coupons and offers to one another. The messaging tool in particular could spur network effects, since it gives users the ability to share merchant deals with their friends. This could increase shopping activity among Alipay users by building awareness of deals. “Merchants” tab: This tab shows the locations of retailers who support Alipay, and also lists out available coupons for items provided by those retailers. Once at the store, users can redeem coupons and make in-store mobile payments with their Alipay app as usual. Ant Financial recently invested almost $US1 billion in Koubei, a local shopping services platform in China that can be accessed through Alipay. Ant Financial has also partnered with KFC China and Walmart to enable Alipay in-store payments. 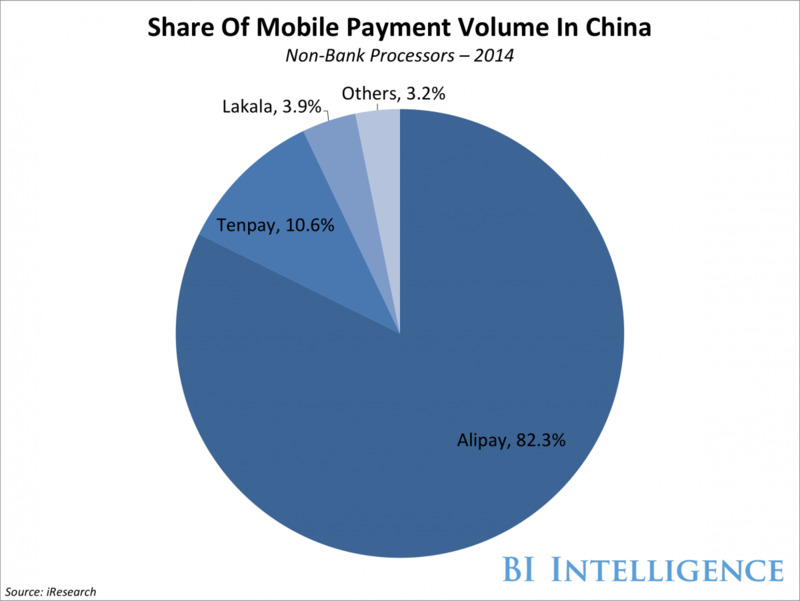 The moves will help Alipay retain its formidable share of the mobile payments market in China. Alipay held over 82% of the mobile payments market in China last year, among non-bank processors.